When a group of us got our first few months of pay packets... flushed with new found wealth and an adrenalin rush of acquiring gizmos commensurate with our pumped up bravado...most of my freinds bought their first bikes and the first music systems. Then there were a silent competetion to buy the most PMPO output music systems and the highest BHP bikes. A few opted out in the start itself . Reconciled to lower range "practical" bikes and box stereo midis. The Hero Honda splendour and the small philips hi-fidelity systems ..well which did their 'functions'..!! Then there were high players ..the Honda CBZ/Bullet guys with high end Music sysetms from Sony to JBL. I bought a Suzuki fiero and went hunting for a music system . I somehow had narrowed on a sony when I came across a BOSE wave radio in a Pune showroom. I was zapped. The Sony was nowhere near the sound of a Bose. And even pricewise the comparision wasnt fair. The Sony was in the range of 15k while the bose one was 29k. 29 k for a Music system was beyond my ken ..but then I had decided that I would either buy a Bose or never buy a system. To keep saving for that system I settled on a Rs 400 amplispeaker wired to my walk phone. And this continued till I bought a PC Speaker (bose) for 5k in 2003. Even till now the Wave Radio of Bose was beyond my budget and I couldnt make myself 'waste' 29 k on a small 'dabba'. Even if it was the best dabba! Life rolled on and I went through many ups and downs. Emotionally, socially and financially. Every one year or so I would have some or the other chance to go up to a Bose showroom and hear the system play classical music and come back..thinking.."someday..someday..I will come back from a run ..bath and change ...take a nice drink and put a great ghazal on this one and listen it through the night". That someday somehow was always out of reach. A few days ago..When I landed in mumbai..I was desperate for a small music player. I went with a view to check out a small player in the 10k range. 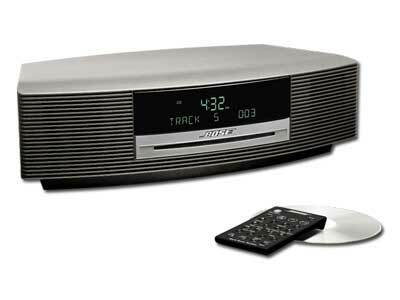 I came across a new product that Bose was selling .A wireless sound dock. It was almost double ,19k than what I had in mind. But it was a Bose and had decent acoustics. But as I was listening to it..the Wave radio had started in the background. I I realised that , yes it was an illogical decision but a decision that was 9 years long overdue. Brilliantly written....!! The possibility of "serious lack of rationality" is what makes us human.